The morning of our last full day here dawns much like the other days have, though our morning calm is slightly shorter than usual; we have a palace to visit. 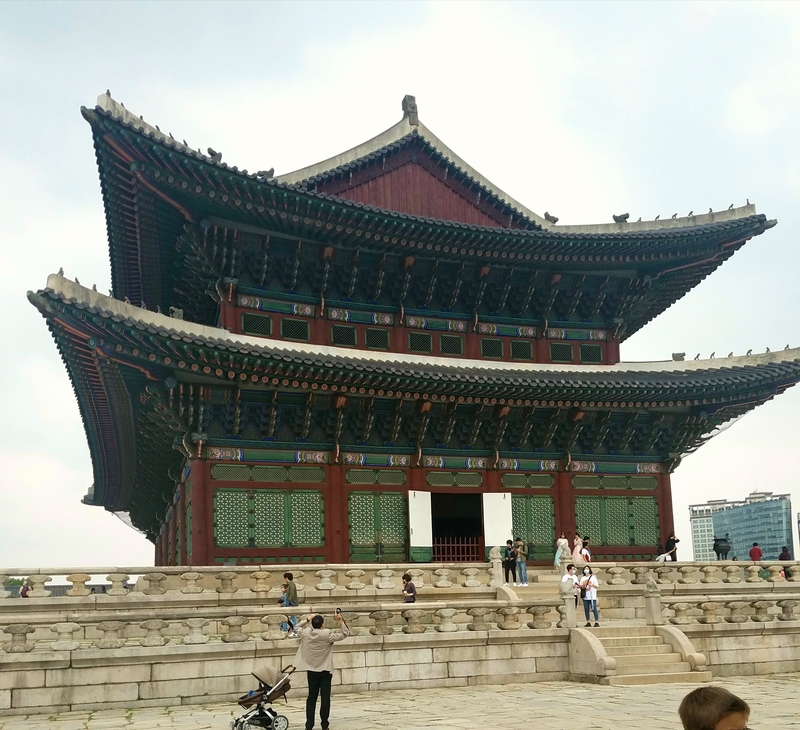 Gyeongbokgung Palace, to be specific. It is a fascinating place with its countless tile-roofed buildings, its wide sandy courtyards, and its neglected green gardens. There is a large pavilion on a small lake where they once held banquets. There is a throneroom with a wide, red and gold chair and an elaborate, dragon-emblazoned ceiling with many multicolored beams. There are hundreds of small, closed-door rooms that open onto the courtyards. There are guards in traditional dress by one gate, and a changing of the guard ceremony with marching and drums. But what there seems to be most of is people. Tourists. I wish they wouldn’t be there. I wish I could wander this palace by myself, or at least nearly so. This chattering, gaping, selfie-taking horde takes away the haunting mystery an ancient palace should hold. We eat lunch in another back-alley restaurant in Insadong and then make our way home through a light rain. The men run down the street and bring back pie and coffee, and we have a relaxed afternoon, watching the rain clear away. I am not very good at being a tourist because I do not want to be a tourist. 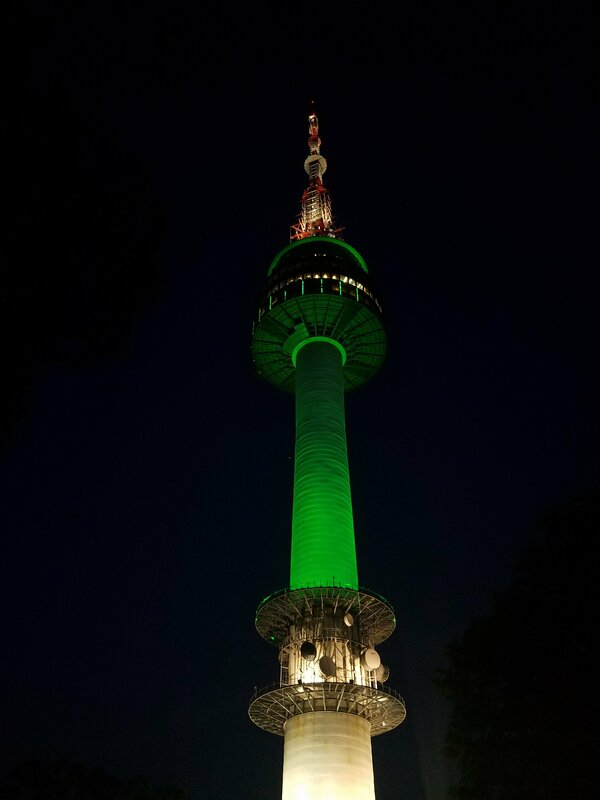 Even when I like what I’m seeing, even when Seoul Tower is very pretty and I’m glad to see it up close, it irritates me to be one of this stomping, staring mass of people. But the tower is one of those things I’m glad I did just so I can say that I did, and I have fun being both romantic and cynical about the Locks of Love, and it does look cool. I wouldn’t do it again simply because it is too touristy and fixed. 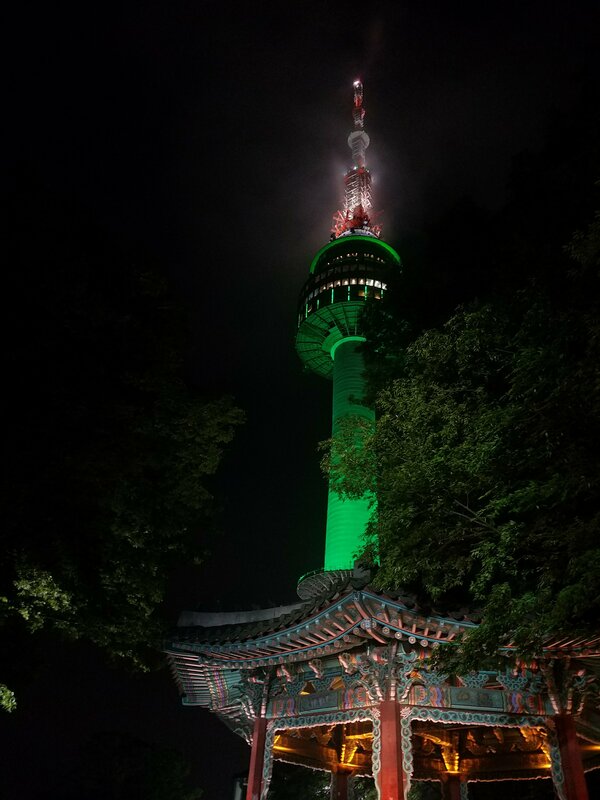 None of it makes me feel I am touching the real Seoul the way wandering the city streets does. Still I got a couple nice pictures out of it, and a fun walk while munching Bugles and drinking Chilsung Cider, and on the way back I have a good time conversing with Brady and Olivia. I regret nothing. Except that it is our last night.